Jeannine, how did you come to found Hire Power after years in the financial industry? Though I studied Law and worked for years in the financial industry, helping people has always been more of a passion for me than crunching numbers. While I was on maternity leave after the birth of my first daughter, Chloë, my boss let me know my position was being made redundant. She offered me a new job requiring extensive travel and overtime to meet quadrupled targets. I followed my heart and started Hire Power with a friend. We started in February 2000 with a little cash, a small office, and one laptop, and made our first placement within 2 days of opening our doors! Since then, much has changed for the better. What is a typical profile for your projects? As a generalist recruitment consultancy, we recruit across all levels and sectors. Personally, I love executive level placements. I also thoroughly enjoy financial accounting, engineering, and technical placements. Which industries do your clients usually come from? My hometown supports many international OEM’s and 1st and 2nd tier automotive component manufacturers. The city is also home to a strong hospitality and tourist sector. The most recent Ironman International Challenge was hosted right on my doorstep in the city of Port Elizabeth last year! We have a very strong Pharmaceutical sector in the city and the Port of Ngqura supports the Industrial Development Zone, which is the only South African deep-water port. Here you find the likes of FAW, BAIC, AGNI Steel, Cold Storage and Logistics Facilities, Isuzu, Himoinsa, Famous Brands and more. What surprises foreign companies the most when they are recruiting specialists in South Africa? The South African work ethic and our ability to adapt to changes in culture, place and pace come as a surprise! We work hard and are not clock-watchers. Our professional candidates (those in the accounting, nuclear, astronomy, engineering and medical fields especially) have fantastic skills. Our country boasts several internationally recognised universities and institutions of learning that compete with the best in the world. South Africans hold impressive positions on the international stage. What are the most frequent intercultural problems? South Africa has eleven national languages. English is the primary language of commerce. Most urbanites ascribe to the Western lifestyle and business culture, but there are at least ten other South African cultures. That makes for a very diverse, vibrant, and robust marketplace. Although contracts and service level agreements formalize and legalize our business processes, the further away you move from the city, the more you notice that business is still conducted on the strength of long-standing relationships and kinship. African cultures still focus on trusting WHO you know rather than WHAT you know. This is a challenge for foreign businesses I most notice in the biofuels and agricultural sectors. It’s much easier to operate from the larger centers like Cape Town, Johannesburg and Pretoria, Durban, Port Elizabeth and East London. What's the biggest cultural misunderstanding that you've seen? Most South Africans truly believe they are part of a rainbow nation. We live the culture of “Ubuntu”, which means we are Africans living and working together on African soil. There is still work to do sharing traditions and beliefs to deal with the legacy of racial division. How is life in Port Elizabeth? Port Elizabeth was colonized in 1820, by the British, who needed to establish a water and supply station along the trade routes around Africa. 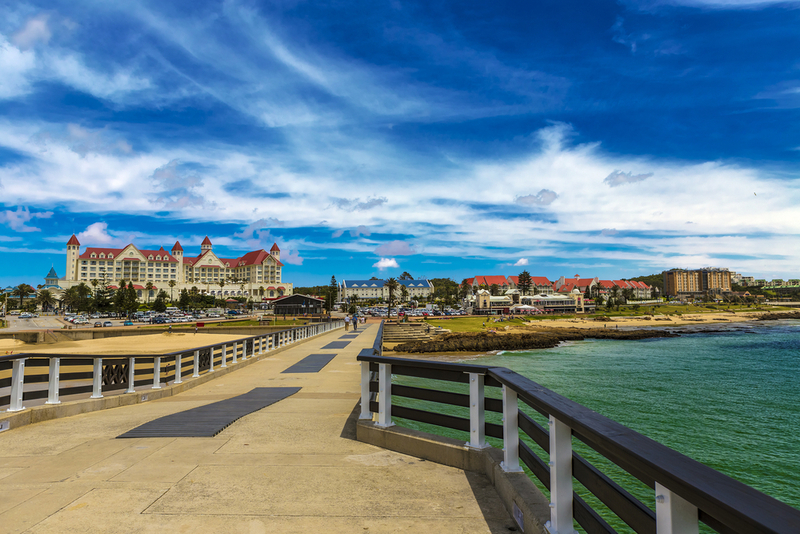 Today, with a population of 1.4 million, Port Elizabeth remains a key city for trade and industry. 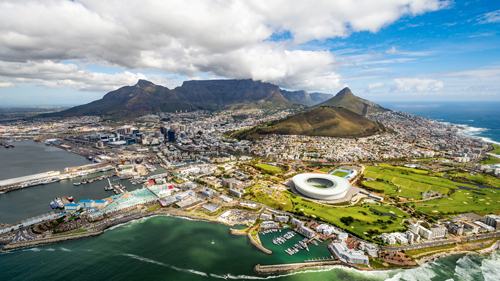 It offers everything that the larger centers like Cape Town and Johannesburg do. Big business, arts & culture, awesome countryside and oceanside attractions. Why did you decide to join the Talentor network? Your paintings have been displayed in numerous exhibitions. How does your art inform or inspire your work? I paint and create for myself and from my soul and heart. I’m deeply inspired by the colors, textures, animals and stories of Southern Africa. This is the subject matter that speaks to me. It’s truly thrilling when someone else appreciates, feels and falls in love with what comes from my imagination and flows through my hand, onto the canvas. What advice do you give to your four children – and take yourself? I have always loved to travel and have had the privilege of traversing the length and breadth of this splendid country from a very young age. After high school I spent a year on Youth Exchange in New York State, USA, with Rotary International. 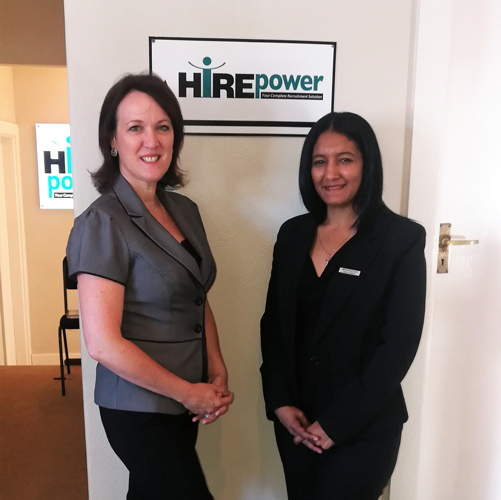 Talentor thanks Jeannine for this interview and invites you to visit the Talentor South Africa location page for more information.